Product #55748 | SKU TL-WPA8630PKIT | 0.0 (no ratings yet) Thanks for your rating! Expand your Wi-Fi network using your home’s existing powerlines. 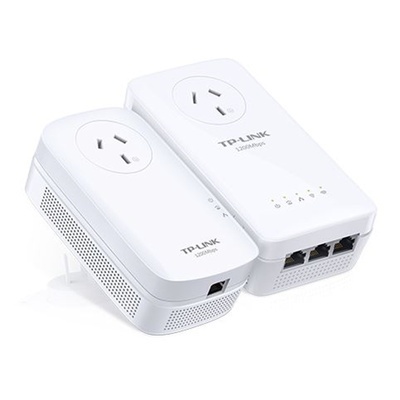 Plug in the TL-WPA8630P to transmit an internet connection to any area in your home and share that connection with all of your favourite wired and wireless devices. A unified network keeps your connection stable, even as you move around the house.